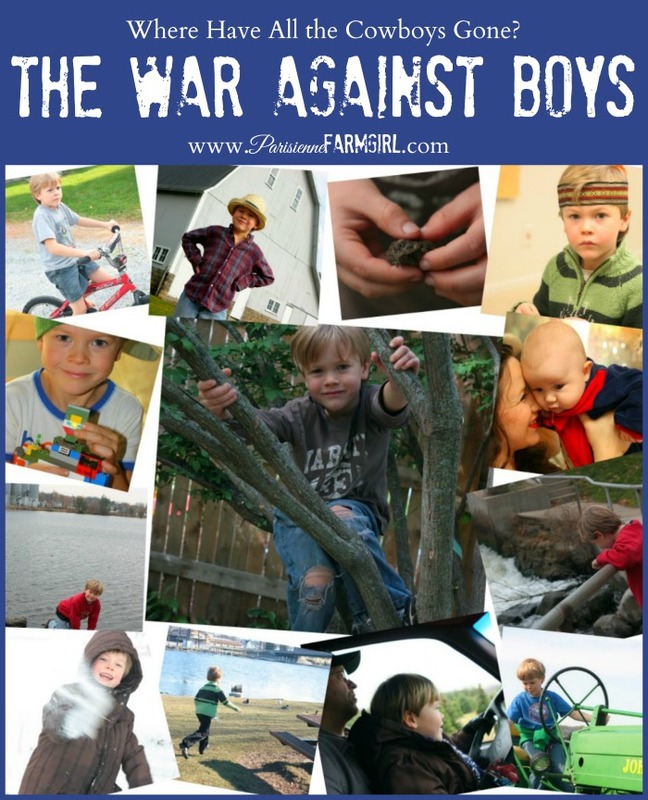 The War Against Boys - Where Have all the Cowboys Gone? The War Against Boys – Where Have all the Cowboys Gone? I am pretty burned out. Not because I am the Momma of a little boy but because I am the Momma of a little boy. If you get me going you’ll be hard pressed to get me to shut up on the joys of being a Momma to a little boy (two little boys!). It is so awesome and I love it! I’d have ten little boys. The challenge is thrilling. You’ll also be hard pressed to get me to shut up on the frustrations of being a Momma of a little boy and it’s not because of the boy. I am of the opinion that people, most people just don’t “get” little boys these days. I am of the strong opinion that anti-male feminism has corrupted our view of little boys and what they should be like. Even sadder, I feel this anti-male feminism has pervaded our church and our families. I am reading Christina Hoff-Sommers Book The War Against Boys so I have a lot of feelings up at the surface this evening. Go to most homes, most church Sunday school rooms, most day care rooms and you will see a pile of safe, girly toys. Nothing to jump off of, nothing to bash, crash. build and destroy. This has been our families struggle in the last couple years. We can clearly see that our son needs more room to be a boy – part of our desperate desire to get to a farm. You should see him when he has room to “be.” He is a completely different child. I personally think we live in a culture that is the beginning stages of beginning to find men completely disposable. This culture seems to want to strip everything from men that makes them men, (and the same goes for little boys). Today most men are so soft. It’s gross. Their nice, safe and neutered. And who needs men right? Today’s women can earn tons of money, fight wars, shimmy up a fire(wo)man’s ladder, heck… they can get pregnant without a man. Men are to be soft, kind, polite… they can shake proper hands at church but when do they get to really cut loose… shoot a gun, shoot hoops, spar, drink a beer, act like they don’t need a women around to tell them what to do??? Back to boys. Let me give you (me) a little reminder. Boys are loud, aggressive, creative, destructive, curious… they eat A LOT, they shine flashlights in your eyes, they pester their little sisters, they want to wrestle, the bristle when you tell them to be careful, they don’t want to be called “little”, they long to know how strong they are, they want to be respected by their mothers and they want to feel like real men around their fathers. You can tell them all day to be quiet, sit still and play nice but you might as well tell the sun not to shine. Now, I am not excusing disrespectful or bad behavior… but sometimes I wonder how much we interpret as bad behavior because we too are a part of this brainwashed, overly feminine culture??? How might that behavior change if we were sure to give our little boys a chance to be BOYS. How much of that “behavior” is because they feel like caged animals in our pretty, suburban houses and politically correct classrooms??? Where is Tom Sawyer with his pockets full of toads and his hilarious entrepreneurial white washing skills? Where is Huck Finn and his risky raft? Where is the worm and the fishing pole? Where are the dirty bare feet? Where are the cap guns, the smoke bombs and dirt bikes? Heck, where is John the Baptist... rockin’ it out in the wilderness eating bugs and honey and skinning dead camels for his latest ensemble??? I am very wary of it all. Probably to the point where I sometimes let my son get away with things he shouldn’t because I get defensive when I think people think he should be behaving a certain way. But I believe, we are paying for it as a culture… we want them to sit still and be quiet and then women complain when full grown men sit and play video games all night! Well, you wanted them to sit still didn’t you??? I do fear for my son. By the time he is a man I believe the popular consensus will be that he is totally dispensable as a man. In the meantime I am trying to raise him to be a man. Strong, courageous, Godly and dare I say… a bit wild. Go on Man Cub. Momma loves you. To read all my “Cowboy” rants from the last couple years – CLICK HERE. Since reading the war against boys I’ve also enjoyed this book. My boys as of 2016. I could not agree with you more!!! Perfectly stated and completely perfect! Why or why can’t our boys just be boys and grow into strong men!! I love this! Thank you! Cheers to my two little man cubs! So agree! My ‘boy’ is now a 30 year old man who knows how to be one…broke a few bones and curfews and hearts along the way, but he grew into a Godly MAN and I couldn’t be more proud! I agree with you so much. My husband and I talk often about this relatively male behavior-hating society. This attitude is quickly pervading even the military…the very place where men MUST be men (dare I say, where they need to have an animal like intensity) but as my husband says “they’re working to make pansies out of us”, and then expecting big results. I say all this as I am telling my boys to settle down a little and not hit-lol (though mainly to not rip my newly sewn sweater pillow with their wrestling). Love your post and your new blog design. I haven’t been back on here for a couple of weeks, so I need to catch up on your big news you were talking about in December. Take care! MEN= PLAYING WILD IN THE WOODS and not sit still an quiet. No way! Fra (a 11 month old men momma)! p.s. Congrats on your new blog design! I like it! Amen, Amen, Amen! I love this post and I love that you wrote it! I so wish I could express the very same sentiments as eloquently. My son, who is 14, has experienced this as well. I try as a single mom to do what I can to foster in him a need for him to be a man. But it is hard…hard to counter culture…hard to counter school…hard to counter every force that is against us raising true men. My son had an interesting discussion in his military history class yesterday. One that asked if women should be drafted. The majority of boys in the class stated that, if women want equal rights for everything, then,yes, they should be permitted to be drafted. I think, though, that had the three silent girls in the class spoken up, the young men who answered this might have shifted their opinions. However, what led these boys to answer this way is, I believe, because they have been pushed to the point of thinking that their masculinity is no longer honored as something protective and strong, so therefore why care. Oui, d’accord – I have raised two sons, and the first was “all boy,” second more artistic but still very masculine. I absolutely agree that they need lots of space and as much freedom as you can safely allow them. celebrate their masculinity! They are lovely creatures. I also have two daughters and they are very different but lovely too. What a blessing and comfort they have been to me. I think you meant “completely DISPENSABLE”, Sugar, and you are soooo right! I agree with you. My son and his 2 boys have guns and go shooting/target practice frequently. Feminization of our boys has gone just too far in my opinion. My son is all man and he’s teaching his boys how to be men. Ooooh, don’t even get me started. But they still need a man to have a baby if you know what I mean. I shudder at the coming years and await the Coming of our Lord with much anticipation!!! Well said. That is how they are wired to be, so why not let them be? On the same note, girls are now often raised with the expectation to have the same career goals as a man…work for the rest of your life type of thing you know? Merging the two sexes into the middle ground makes men less masculine and women less feminine and it all adds up to dissatisfaction in my mind. I totally agree, we have two wonderful boys- oldest is 14, youngest will be 11. They are rough & tumble, wrestle, hang together, get dirty, dirty, and do guy stuff with their day. They play hard all day, even in snow & rain! They are also being brought up in a Christian home, involved in church, know how to set a table, open doors for women, have a firm handshake, be respectful, they love doing guy stuff with day, but also love going shopping & lunch with mom, and picking out awesome things for our home. I know that they will be strong, Godly men, heads of their home and great husbands and fathers, for these things they are learning from their Father and Grandfather..
Who are both strong, God fearing, hard working and not wimps!!! Amen! I totally gree with you! And while my boys are considered “wild” by some because w homeschool, allow them to run through the woods, build fires outside and shoot guns – they are alo the FIRST ones to br complimented for being polite and knowing how to behave around adults & in most social situations. With the exception of hitting, I agree. Its the liberal side of our culture that is taking over and emasculating our men. I think of the difference between my grandfather and some of the little boys I see in my neighborhood. Its a shame for sure. Ouch. Your post has really hurt my feelings. I am guilty of wanting my son to just ‘calm down’, ‘be gentle’, ‘use your inside voice’, and ‘sit still and read a book’. I know that boys are seriously hard-wired different from my girls, and yet, I have been forgetting that for the last 6 (almost 7) years. I want him to stop plucking my nerves every 10 minutes and quit running through my house from one end to the other like he’s on crack and an alien from another planet. Why can’t he just sit still? You’ve brought forth a wonderful memory I have of the differences that make boys special – I remember my son at about a year old, sitting all hunched over with a fascinating toy in his little mitts. He was absorbed in every aspect of this thing, and was constantly turning it over, around and around, wanting to see how it was made and how it worked. He looked just like a little Mad Scientist. His attention span at that age was impressive with something he could roll around and break. Anyway, the same memory involves his twin sister, sitting right next to him, playing with a soft book or a stuffed animal. Two completely different beings, both exposed to the exact same toys and experiences, and yet he was “all boy” while she was “all girl”. *sigh. I think I’ll go cry some more and bash myself around a bit to help me completely change my outlook on mothering. Each and every teacher I have said, “If you give the kids 20 minutes to complete a project, Sweet Boy will have it done (correctly) in 2 minutes. You can have 18 minutes of trouble or have him alphabetize the books, clean the blackboard, etc.” There have been no problems since. We also joined the Cub Scouts. But there was a problem. No leader. So my husband manned up and is now the fearless leader to 10 boys. They create rockets, derby cars, can handle a knife and light and extinguish a controlled fire. They come home filthy and I happily do the wash.
My home is filled with scratching, burping and loud behavior. I love it. I thoroughly agree! I was a teacher and hated it when they gave little boys Ritalin, and it was always little boys. I said give it to the parents or his teacher but let the little boy be a boy. Schools are so female orientated, too many female teachers or girly-boy men. I was always given the “difficult” boys, they weren’t difficult just active, curious, alive. congratulations on everything new angela! I read but barely have time to comment. on this men topic. oh I knew we were in trouble when my son started playing team football with sports youth groups in my area…. 2 girls were on his team:( can’t boys have anything all to themselves anymore? it’s a shame. agree with you 100% good luck with your new venture! I encourage you to never give up on this. You are so wise. I want my daughter to read your “Cowboy” post! She is the proud mama of a seven year old boy; dare I say, she defends him against what the school has labeled him a bit on the wild side! Like you say, place them in farm surroundings and what a different little man cub she has! We love our 5 year old little guy…greatest surprise blessing ever! Also taught Kindergarten for 13 years and know exactly what you mean!! Wild at Heart is an awesome book on this subject, too. I love your topic, it is very close to my heart. I have 1 boy and 3 girls so we try to make sure he gets out and does manly work, like hauling firewood and doing chores. He had to learn to build fires in the wood stove this winter (he is 7 and can do this very well. If he is in the house too much he gets really annoying, just like the big boys(daddy’s) do! I am so encouraged to hear that there are other moms who want to raise a “Man”. A “Man” is a very good thing to have around, we all need to appreciate them more. Oh, Amen and Amen! (Says me, while my son whizzes past me, a cowboy on his horse …. er, in his imagination). Where are our men?, is something we often ask… Well, as you say, they’re being told to be ‘nice’, to ‘play without competing’, and to ‘not hurt anyone (including themselves)’. They mustn’t go ‘exploring’ in case they hurt themselves, get dirty, or get cold whilst out and about. I go from anger to despair. Praise God, He changes not, and our trust is in Him, not in the ever-changing whims of our society. You are an incredibly talented and creative person and until now your amazing ideas have enabled me to look past the overtly ideological bent of your blog. This post drew the line for me, though. I normally am not an anonymous poster, but I do not feel that the community on your blog is one of tolerance. I never comment, but today you struck a chord. 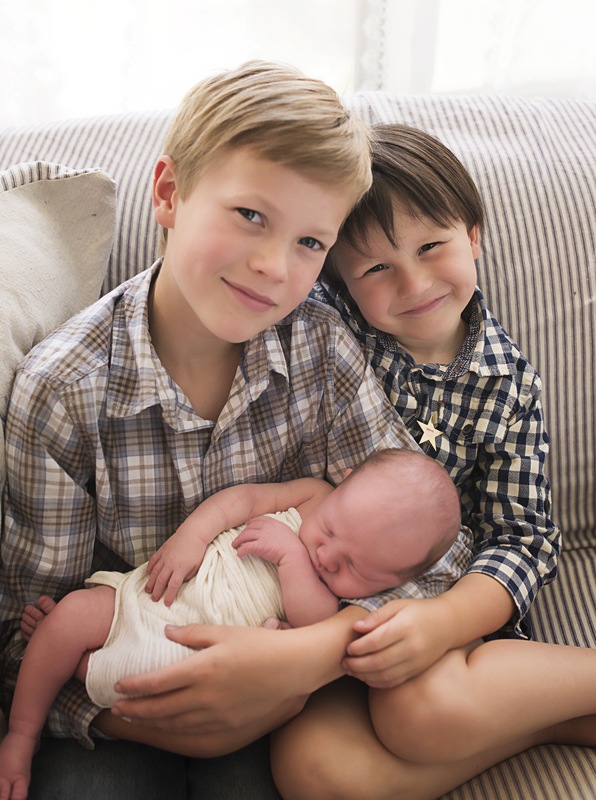 I am a mamma to 2 boys and let me tell ya, they are all B-O-Y! My 12 year old rides bikes, dirt bikes, plays sports, tinkers with tools, works on semis with his dad, shoots guns and he rarely sits still, (except, thankfully, he does during mass). Sometimes, I actually think people are shocked by his boyness, which I find charming. My hubby and I laugh that I could never have married a man who wears a suit to work. I find if I let the hubs and the boys be boys, they are happier and much easier to get along with. I swear I should have grown up in the ’50’s. Wonderful post today! Enjoy your boys! AMEN!!! And, you know, you don’t even have to go back as far as Huck Finn & Co. What about Beaver, you know, The Beav? He was always into things and getting stuck up in billboards on a dare. It’s only taken about 3 decades to destroy this notion. And don’t get me started on how guys don’t know how to work on cars these days! Now, I have a grandson and it’s hard to find boy toys for him. Easier while he’s still a baby but what about when I want to get him something to play Cowboys & Indians with? Oh, wait, we can’t say Indians. Well, fortunately there is no TV in his home and his dad is a gun collecting, hunting kind of guy. Problem is, who will he play with if all the other little boys are busy learning how to respect their sister’s Barbie as a woman? Have you or your husband read “Wild at Heart”? It’s a really good read about what it means to be a Christian man in today’s culture. I totally agree that our society makes every effort to make men look like imbiciles who can’t make right decisions without a woman helping them. Even in the very small time I watch television at other people’s houses, I can see this. There are even cartoons that portray the fathers as weak, fearful morons, and those will never fly in my home. Even though I am aware of these things, I think that it would be hard to let up on some of my behavioral expectations if I had a son…Maybe not, I don’t know. I do know that boys need to run around until exhaustion, get dirty, and take things apart, etc. (And they are definitely louder children by nature!) My husband was able to do things like this as a boy, and because of all of those natural, healthy freedoms, he’s not afraid to take risks, get dirty, and work and all of these qualities are a tremendous asset to our marriage and family, and for that, he’s my hero. um, this could possibly be one of my favorite posts of yours ever! as a mom of 3 boys, i say AMEN!!!!!!!!!!!!! boys need fishing, hunting, dirt, bugs, (i draw the line at snakes;)), etc. as a quiet, oldest child, total girly girl, i admit that many times it is hard for me to sit back and watch. do i like my son climbing on top of the play structure at the park? not really, he has no idea i am silently pleading with God to only let it be a broken arm if he falls. but i LET him. now some moms look at me like i’m a complete moron, uninvolved mom. they give me that look as they then proceed to take their boy home to watch rated r movies, check his facebook and eat his sugar cereal for dinner. whiule mine goes home, watches Little HOuse on the Prarie, reads his book and eats a wholesome meal or starves. but his SOUL was fed. he wanted to rpove he was a strong,wild boy climbing that structure. while one day, the result may be a broken arm, i’d rather that then a broken spirit of a boy held back, reigned in, doped down and told to shut up. by the way, have you headr Brad Paisleys song about this? I’m Still A Guy . So freakin hilarious, go listen NOW! I was really sorry to read this. I never thought of my blog as having an “overtly ideological bent”… upon occastion I talk about God and upon occasion I talk about politics if something is really getting on my nerves. And though I would love as many readers as I can get I am very honest and mention those things in my headers to people know what they are getting into when they visit. Actually, I am surprised that it was a post about little boys that has really turned you off. I rarely, if ever comment to comments so I am not sure what you mean by lack of tolerance – unless you were concerned some other commenters might go after you. Which is their right but I never egg anyone on or encourage that. And I do disagree about the tolerance thing – I never (unless it’s just vile) delete comments. I let them stand “as is” cause goodness knows, thousands of people read this blog and not everyone is going to agree with me. The point isn’t to get a bunch of people affirming my views… it’s to say what I want to say and perhaps provoke some thought. I’m not Catholic but I thoroughly enjoy a lot of very Catholicly bent blogs, I am not single but I enjoy a variety of blogs with tales of single girls… I enjoy many blogs and their fruit of creativity though the authors and I may vehemently disagree on a variety of topics. I guess we all choose which ones we can deal with and which ones we can’t. Blessings to you. 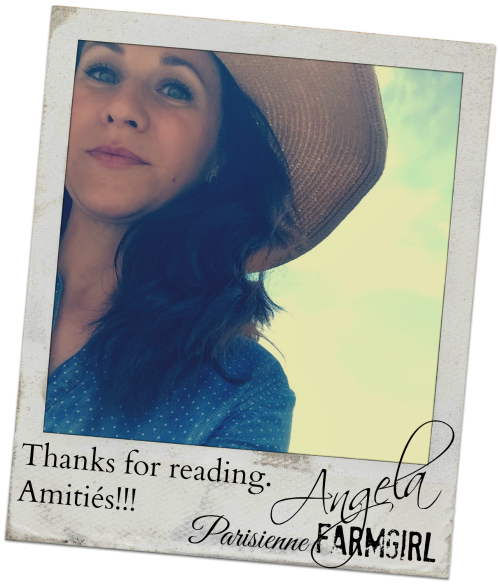 Hope you can still find a way to enjoy Parisienne Farmgirl. Boys are from another planet. I had two – now almost 40 and have 6 six grandsons. My two girls never did get along with their brothers growing up but secretly worshiped them. My biggest complaint is seeing little boys (like society) with their heads into DS’s, Iphones, you name it instead of making things, building forts, being physical and learning how to do things.That’s how a man becomes a man. I found you on Pinterest. Quite by mistake…on the contrary…God led me to your blog. There is nothing for me to say except that my “boy” will turn 21 on his birthday while spending it doing God’s work in Africa. is your son engaging in activities with other little boys his age several times/week? Does your husband interact with your son outdoors by teaching him sports?? things!!! Does your husband have opportunities to interact with other men without female intervention? I completely agree and very well said! Thank you! Well stated, Angela! I am encouraged by your post and the comments. Jesus is the role model for our sons. He was masculine and physical (carpentry and fishing), enjoyed a good party, showed compassion, gentleness and kindness. He asked us to follow His example of nonviolence, turning the other cheek, loving our enemies, caring for the meek and poor, tolerance–these are the qualities and attributes we want to instill in all of our family members. i think there is a fine line between letting them be loud and boistrous and teaching them some manners and when it ia appropriate to be wild and crazy..i don’t quite understand your view but i can appreciate it anyway.. So true!!! Zach has this deep desire to be in the dirt and is never happier than when he is digging through the dirt finding “gross” cool things to show mom. My boys have been doing so much building and creating things, they can use their imaginations and play for hours and hours. We have cut WAY back on TV and electronics and it has been great. I Love the sound effects they make when they are playing!! Not quite sure what led you to think we aren’t raising our boys to understand that “there is a time and there is a place”… the jist of article was that we all need to consider the culture in which we have been raised and question how that has preconditioned us to think about our boys and their behavior. I find myself rather proud that while my eldest son is “all boy” he has a fantastic attention span… can sit with respect in church ( and retain and understand the sermon), he can play legos by himself in his room for hours (while listening to the classical radio station – his favorite), he will water color and draw for hours on end. You can take him to the finest or restaurants and never have to worry if he is going to embarrass you. I could go on and on. It’s was not about excusing bad behavior because “they are just boys”. It was about self examination and looking to see if we are demanding that our boys be something they are not. There’s a BBC documentary showing down under at the moment that I think you would enjoy Ang (check You Tube for it, might be there) It’s called ‘Gareth Malone’s Extraordinary School for Boys’. He takes on the challenge of teaching a class of boys and engaging them in learning which he does by allowing them to be boys! Setting up a classroom in the woods where they are not normally allowed into and other boisterous and ‘risky’ activities which make the ‘trained by the system’ teachers deem it for failure. Absolutely loved it and still 2 episodes to go for me. The sentiments you shared were also echoed in that infamous Dockers ad ‘Once Upon a Time Men wore the Pants’ which I have pinned to my office noticeboard because I agree with every single line in it. Did you know Bear Grylls called one of his sons Huckleberry! I guess it was for Huckleberry Finn! I am certain that your son will be a big hit with other young boys his age when they come oover to play with him(although you never allude to him playing with other young males) and he asks them, while he exhibits his perfect table manners, what their favorite classical music composer is…. In defense of Angela, I think “Anonymous” is on a rant to damage her. It seems personal. I will say this is not the forum for that kind of dialogue. I get that “Anonymous” is trying to state that no one should tell another how to raise their children. However, I don’t believe that is what Angela is doing with this post, nor is it the point. What seems to be the point is, in observation of the world around us, boys are not being allowed to be what they are created to be – NOT GIRLS!!! And, we are to blame for that – ALL of us – for being permissive of this change under the guise of “civility”. I want my boy to become a worthy man. In this society, that is incredibly difficult to have happen. As a single parent, I feel resentment that there isn’t more collective nurturing, or people going out on a limb like Angela to point out the lack of it, to help raise our boys to become men. And, those who do think they are giving them the opportunity to really engage as boys are putting them solely in the competitive realm of sports in doing so, it seems (in my humble, high school teacher observation). Very few fathers engage with their sons in real teaching of manhood, whether in an intact traditional household or not. I commend Angela for going where so many people are fearful of going. As she has said, she wants readership but rightfully will not compromise her thoughts and comments (which, last I noted, we are still allowed to do freely in this country). Just as you are allowed to disagree with her, she is allowed to profess. However, I don’t ever hear anything personal in what she says about anyone outside of her own experience. Couldn’t agree more Parisienne Farmgirl! My son is 28 and in elementary school the teachers insisted he was ADD and should be on medication. We refused to medicate a perfectly normal boy who was creative, energetic and athletic but who was being force fed a steady diet of banal education. Just look at commercials on TV today. They make men out to be complete idiots. It is a war on males. And happy to report my 28 yr old has manners galore but is still energetic, creative and above all masculine. And he thanks me for fighting to keep him unmedicated as a child. I married a cowboy and complained he was not polite….but honestly what you are saying is true. Men need to be allowed to be men and boys to be boys. I don’t want to limit women to the kitchen but oh how I love for men to be free to be men. My sons both are. I rejoice! Good post! I am often repulsed by men, even men at church, because of their femininity. My father taught me what real men are made of. Funny, I married a man who is much like my father. I thank God for my husband because he is not afraid to roar. I’ve often said “there should be a special award for mother’s of boys”. I’ve raised 2, who are now men, and on their way to being husbands and fathers. I can say I’m proud of how they turned out. But when they come home, it’s like my home, even today, turns into a cage fighting ring (in a good sense). They still love to punch, and tease each other, pop with towels, and trash talk. It’s all perfectly wonderful and I miss it when they are gone. But sometimes I still want to crawl into a quiet hole when they are roughousing. One of my favorite things to say (in jest) is “How did I get all these boys”? Husband included:) I love them and wouldn’t change a thing, I love letting them be boys. I only wish I had read that book when they were little, I might have changed a few things along the way. Keep on preaching girl. Wow. My sentiments exactly. I don’t want my son to grow up a be a sissy. Hmmmm….I think you are living in the wrong place! Get out of the city!!! Seriously! I don’t think boys should be allowed to hurt others but then again a girl shouldn’t be either! Kids need to be allowed to play and explore. And there isn’t any place in the city to be a kid! And be patient. The pendulum has to swing too far each way until it comes to rest in the middle. Society was so difficult for women for so long and when things started to change they pushed to extremes. It will come back and as long as we treat others with respect, it doesn’t make any difference what any one writes in any book. Love your children, treat them with respect, teach them the Golden Rule and you will raise children you love and are proud of. Bravo Angela – I agree with you 100%. As the mother of two boys, and I can tell you, if anyone ever tried to dope up my sons It would kill me. I am not one who believes in medication OR shrinks. Climbing trees, a stinky pond full of fish and honest to goodness Dirt are my kids medication. My youngest watches a few shows during the week, but the rest of the time he’s either Fishing with dad, playing a musical instrument, getting dirty in the yard, grass stains on the knees of his pants daily, or finding something to “fix”. It’s hilarious this one. Loved your post! I live in a house with boyz, I grew up next to household of 13 boyz, I love boyz, they are so cool, no drama, just rugged, athletes in my house and a spirit of sweethearts inside those boyz. Love my boyz! Yes,yes,yes,yes. You are so right Farmgirl Momma. I am 56 now and my son in raised but now see how hard it is to raise a boy now because I have my grandson a lot. He is all boy in the best way and I encourage that. Keep up the fight for the right to be a cowboy. can i get an amen??? AMEN! My husband cringes at the song choices at church or on klove…”I really don’t want Jesus to be my cosmic boyfriend” he whispers. Awesome post! I just discovered your blog, and am so happy about it! I’ve read this post numerous times and I still love it. I wish we lived closer. My boy would love to play with yours. In fact, he’s on a hunting kick. My husband made him his own quiver, gave him a few blunt arrows, and now spends all day ‘hunting’ with his bow and arrows. So fun! Thanks for speaking up for our little men and Lord willing, they’ll continue to grow into manhood and retain being ‘men’. I have three boys (under 3), and I live on a ranch. I needed to read this post so badly today as the older two are screaming outside, pushing each other into the concrete fence and climbing our rock wall. Beautiful! Thank you.